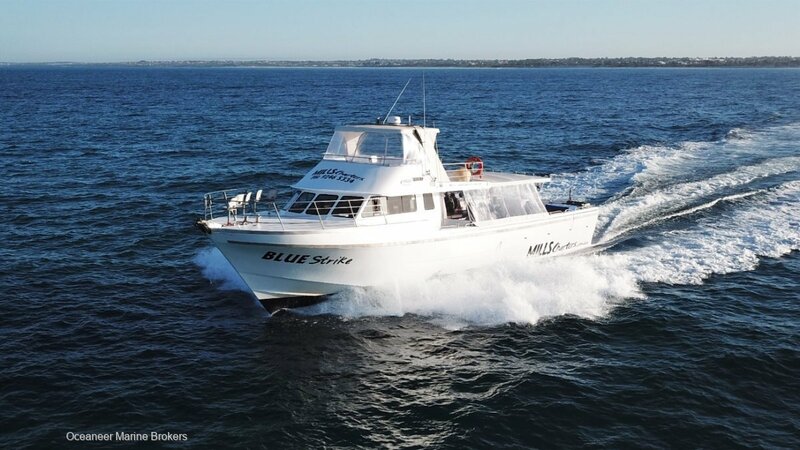 Perth's most notorious fishing charter vessel and associated charter business is FOR SALE. Custom 70 foot Conquest vessel built specifically for charter operations by Seachrome Marine. Optioned with island "walk-around" wheelhouse provides easy access to bow area for passengers and crew and is a brilliant feature very uncommon for a vessel of this volume. The starboard side is fitted with rod holders on the gunwale covering the entire length of the vessel maximising the amount passengers fishing at one time. Sale of the Business includes over 3500 fishing marks, complete array of reels, rods and rigging, set up for high end fishing charter operations. Forward bookings included. More information to come Tuesday the 29th Jan.